Glass Balustrades bring a modern, sleek look to stairs, balconies and terraces plus are a great security addition for private and commercial pools. HDG install high quality and affordable pool fences that ensure the safety of your family and friends, and also add to the overall appeal and value of your home. Suitable pool fencing is required of any pool owner by Victorian law; our glass fencing retains a stylish, modest and classic feel – we guarantee a solution that will complement any style and period of home. Aluminium is an inexpensive option and is very low maintenance, which is good if you have small children. 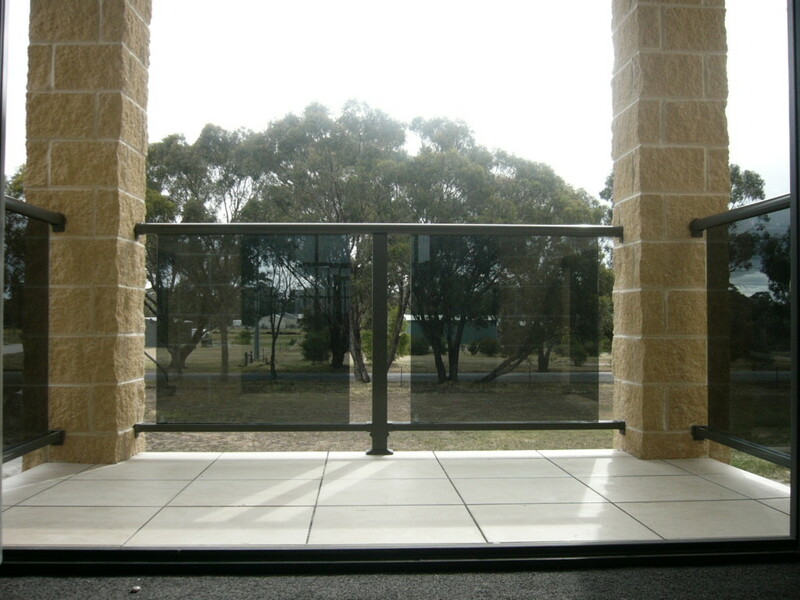 Aluminium is extremely durable and is suitable for all weather conditions. 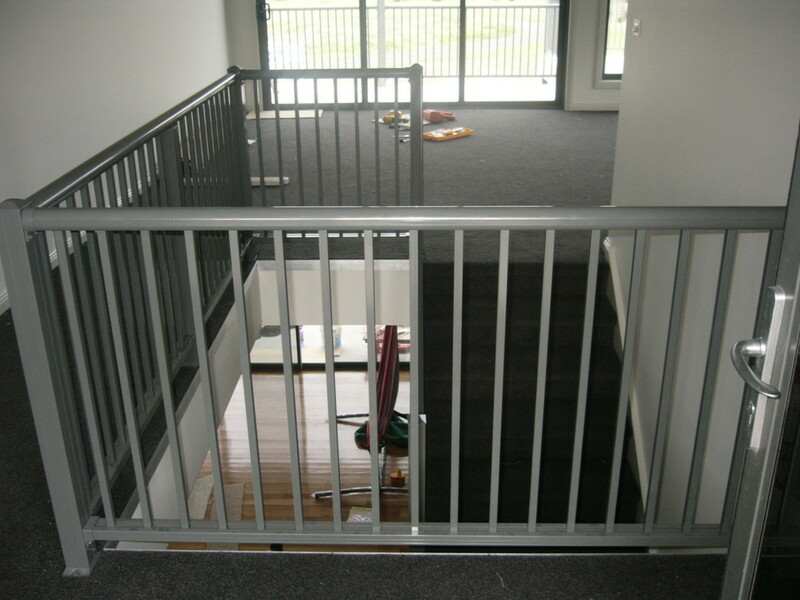 On a balcony/pool fence, aluminium will slightly obstruct views of the pool or from the balcony. 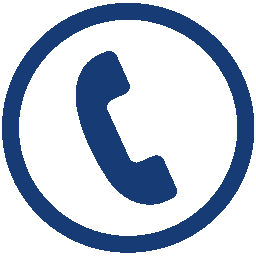 Increased safety with the glazed options, however, all our products are built to comply with stringent Australian Standards and BCA codes. Stainless steel is a ‘must have’ product and is very aesthetically pleasing. It can be mixed with glass for a stylish and contemporary look. If you live near the coast, stainless steel is not recommended for outdoor use. This is because the sea air causes the steel to ‘tea-stain’, which makes the steel look like it’s rusting. A lot of cleaning and maintenance is required to prevent ‘tea-staining’. Stainless steel is more expensive than aluminium. If you are looking for an inexpensive option, you may consider an aluminium balustrade with a brushed stainless steel finish. Give your outdoor entertaining and pool area a modern and stylish look with ClearShield stainless steel pool fencing. ClearShield’s metal and steel pool fencing is an excellent alternative to conventional steel or glass material with a smooth easy to clean stainless steel finish that creates a wonderful ‘airy feeling’ and enables the breeze to flow through. 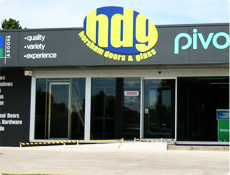 Glazed options include- framed glass with aluminium/stainless steel, semi-frameless glass or fully frameless. Glass is very aesthetically pleasing and creates unobstructed views. Prices vary significantly in glazed balustrading, with framed being the least expensive. High maintenance/cleaning, especially if you have young kids, who can smudge the glass. 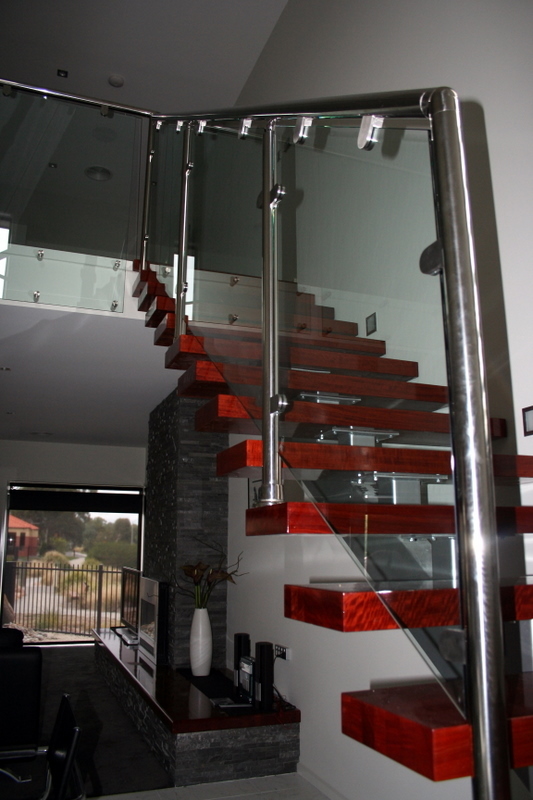 Glass balustrading is very safe, as children/adults cannot climb on it. Glass acts as a great wind barrier and creates warmth in hilly or coastal areas. This is especially beneficial in the winter months. 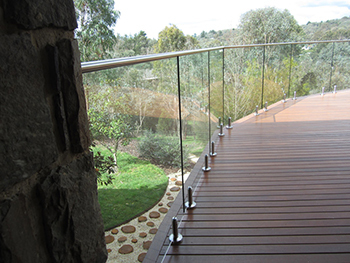 A glass balustrade fence is a popular way to secure your deck or balcony while offering an uninterrupted view outside. This can be done in both frameless glass on mini posts with a stainless steel handrail or with full height stainless steel posts finished off with a stainless steel handrail. The clean and modern lines off glass and stainless steel is an ideal way to finish off a new home or update an existing balcony, veranda or patio. Characteristics of glass such as smooth surface, unobstructed views, design adaptability, strength and durability make glass an attractive product. Semi Frameless Glass Pool Fencing is the one of the most appealing and affordable glass pool fencing design. Semi frameless glass pool provides a neat and stylish finish, which will not block your view. Semi Frameless Glass Pool Fencing offers a terrific visual aspect over your pool area, using full height stainless steel posts and glass giving the area a modern and clean appearance. The look is finished off with a frameless glass gate. 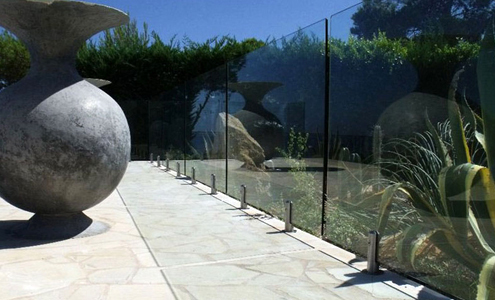 Semi frameless glass pool fencing is still the most popular type of glass fencing. Glass is elevated just above ground level, and fitted into full height 316 marine grade stainless steel posts with 10mm toughened safety glass. Semi Frameless Glass Fencing is finished off with a frameless gate, this method is more economical than frameless glass fencing while giving you a modern and up-to-date look. Frameless Glass Pool Fencing is simple, clean and stylish, it is visually appealing to the eye and at the same time draws the eye through it to the pool offering a totally uninterrupted view of your pool area and surrounds. A Frameless Glass Pool fence is mounted on stainless steel mini posts and finished off with a frameless glass gate, it requires minimal maintenance and will not date while providing safety and style at an affordable price. Glass is elevated just above the surface and clamped with stainless steel 316 marine grade mini posts, glass is 12mm toughened safety glass with flat polished edges. This can be fitted to timber decking or neatly core drilled into existing concrete or paving, this type of glass fencing with a frameless glass to glass gate offers a totally uninterrupted view of your pool and surrounds.